Does your dog really need commercial food packed in calories? Keep reading to learn more about buying high calorie dog food and whether you really need to. Which Dogs Need High Calorie Food? 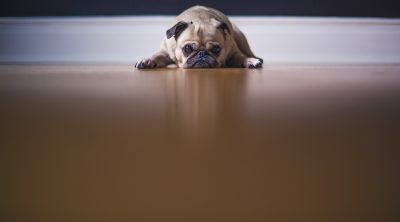 Should You Give High Calorie Food to Emaciated Dogs? Most commercial dog food brands list calorie counts per serving. But these numbers won’t make much sense if you don’t know how much energy your pooch needs per day. Do not assume that it’s the same for people and dogs. 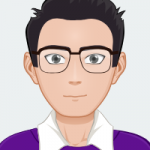 People are larger than dogs and need more food. The individual calorie requirements for dogs vary depending in their age, breed, weight, and activity level. 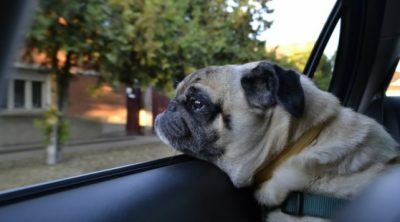 Generally speaking, dogs have fewer daily calorie requirements than what owners believe. An large breed dog weighing over 67 pounds up to 88 pounds need only about 1,100 to 1,700 calories per day. A small breed dog need between 185 and 370 calories in most cases. Puppies need to eat more than adult dogs. 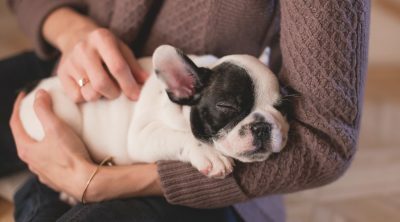 Growing puppies are very active and expend energy quickly. As dogs age, they exercise less. The caloric needs of a dogs would dwindle as he or she ages. Elderly dogs should not be fed high calorie food because of health risks that can occur. Don’t feed your dog high calorie food if it’s losing weight. Weight loss could be the result of a myriad of factors, including disease. Take your pet to a veterinarian immediately to get a diagnosis. It’s best if you only feed your dog high calorie dog food upon medical advice. An emaciated dog needs to regain its weight back to a healthy level suited to its age and breed. For those who rescue dogs, it might sound like a sensible idea to give the dog calorie-rich food. Wouldn’t that make it become healthy quickly? Not really. Emaciated dogs should be treated under veterinary supervision. If you give it calorie dense food, the dog may experience dangerous weight fluctuations. You could also put the dog at risk of obesity. For underweight dogs, it’s recommended to feed it the same calorie amount as it would consume as a healthy pooch. Otherwise, the dog could become overweight rapidly. Most pet stores advertise “weight control” dog food, not the high calorie versions. Commercial dog food in general contains a lot of carbs than what a dog might eat naturally in the wild. As a result, pet owners the risk of obesity when feeding dogs high calorie food. Don’t feed your dog calorie dense food if it’s not expending the energy it consumes. Unless your dog is highly athletic, avoid potentially overfeeding it. Ask your vet the best daily calorie recommendation for your dog before buying it special type of dog food. As humans, we know where out calories come from—mainly from the carbohydrates we eat. The same should not be true for a dog. Your doggie should mainly gain its calories from proteins and a certain amount of fat. Dogs do need some carbs, but too much of it would only make your dog fat. You need to decipher the labels in commercial dog food brands to buy your pooch good food. A good high calorie dog food brand would contain between 26 to 30 percent of protein. The fat content would come next, typically between 12 to 18 percent. The carb percentage should be the third. 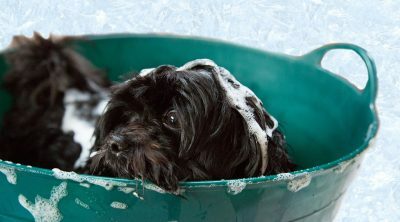 Do note that the percentage of protein for wet dog food is typically low at around 10 percent, followed by fat. Dry kibble is typically more dense in protein and thus contains more calories than wet dog food. Some dog food brands are packed with fillers like rice, potatoes, and veggies. Don’t feed your dog a food brand that derives its calories mainly from plant-based sources. The ingredients list should ideally be meat sources. The meats should be whole animals, like chicken or lamb. Rendered meat meals may contain animal parts that a wild dog may not naturally consume. If you doubt the ingredients list, ask your vet whether it’s suited for your pet. Bully Max is specifically designed for dogs of any breed with energy levels out of this world. 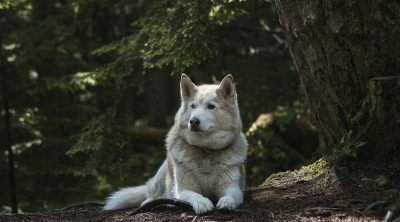 Do you have a dog that runs and hikes and shows a ribcage if she misses a meal? This dry kibble packs 30 percent protein. The fat content is 20 percent, which is highest for any food brand of this kind. The brand promises that the protein comes mainly from animal sources. Chicken meal is the primary ingredient, with brown rice and chicken fat listed afterwards. A cup of this contains some 535 calories, making this kibble one of the most nutrient dense all around. It’s not a completely plant-free kibble, even if the brand says so otherwise. While there’s no soy, corn, or wheat, you will find other ingredients like ground grain sorghum, dried beet, and ground flaxseed. It should otherwise be fine, unless your dog has an allergy or sensitiveness toward any of these ingredients. 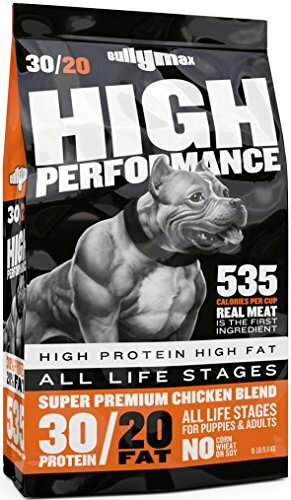 The picture on the bag has a pitbull, but the product is suited for any medium to large breed. The formula might be great for puppies as well. The only downside is, this kibble is eye-wateringly expensive. This dog food brand is the only one so far to disclose how much animal protein is in each kibble—83 percent all crude protein, as the brand declares. This premium grade dry kibble is high on protein—30 percent minimum guarantee—and also high on fat with a 20 percent crude level. The primary ingredient in the kibble is beef meal. The other main ingredients are grain sorghum, chicken meal, chicken fat, pork meal, and menhaden fish meal. Overall, it’s very rich in animal proteins. The menhaden is a small oil-rich fish that’s a great source for omega-6 fatty acids. The meat is USA-sourced, according to the brand. Each cup contains 450 kilo calories per cup, putting this brand really on top in terms of calories. The Hi-Pro formula is put together based on the dog food nutrient profiles published by Association of American Feed Control Officials (AAFCO). It’s mainly aimed at improving growth of large breed dogs that weigh more than 70 lbs as adults. But you can try this on medium size breeds as well. It’s hard to beat this dry kibble when it comes to protein content. This formula is a whopping 34 percent protein. The flavors primarily get the protein from the meat it’s named after. For example, the beef flavor has actual beef as the primary ingredient. Most flavors have both chicken meal and lamb meal as primary ingredients—the reason for the high protein content. The brand promises the formula to be by-product and grain free. But some protein is sourced from plants, such as pea protein, lentils, chicken fat and potato starch. It sources fatty acids from preserved chicken fat, one of the top five ingredients. The formula has 17 percent of crude fat and 3.5 percent of crude fiber. Crave doesn’t specify calorie content per portion, but they do offer a feeding guide. 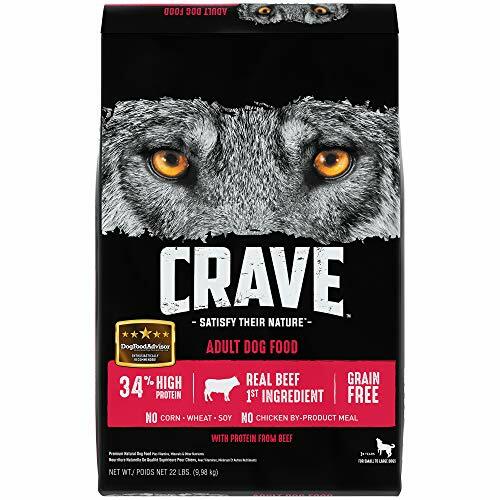 With so many dry food kibble with mostly filler, Crave is likely one of the best commercial choices out there to get your pet high levels of protein in their diet. The kibble is soy free as well. The bites are designed for any size dog as well. Canidae dry kibble has one of the highest percentages of protein in the market. The brand guarantees minimum 32 percent crude protein in the kibble and 18 percent of fat. The kibble comes in multiple flavors. The first ingredient is always real meat. Most of the flavors have the second or even a third meat ingredient. The brand lists at least 10 ingredients as essential. The kibble is built around a limited number of ingredients to prevent filler. The first 10 go into the actual kibble, while the rest are supplements. The flavors include essential ingredients like lamb, chickens meal, and turkey meal. The formula contains 509 kilocalories per cup, so the kibble is calorie dense. Dog owners should carefully follow the feeding instructions in the box to avoid overfeeding the pet. The kibble is well flavored with fat, so you might get even the picky eaters to try this. This food doesn’t come with any breed specifications. The bites are small, so even smaller dogs might like this. The brand says the product is made in the US, but be aware that some ingredients might be sourced overseas. 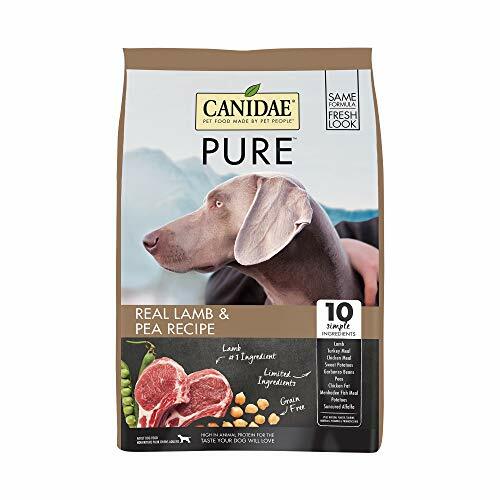 Canidae is a high-quality dog food, so you might have to pay a premium price for it. Other than that, this is as high calorie as dog food can get with good protein. 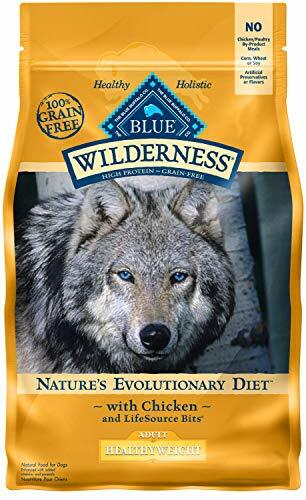 The Healthy Weight line from Blue Buffalo is tailored towards pet owners who want to get their pooches on a high-quality, protein-rich diet. This food brand contains real meat as the first ingredient. Overall, the brand guaranteed at least 30 percent of protein and 10 percent each of fat and fiber. The kibble is made from deboned chicken and chicken meal mainly. Other animal-based protein sources include Menhaden fish meal. The rest are mostly plant based proteins like pea protein, peas, pea starch, tapioca starch, and pea fiber. The kibble is grain free. The carbohydrates mainly come from various pea-based products in it. It’s got fruits and vegetable like carrots and dried tomato. Importantly, there are no soy or soy-based ingredients, which some dogs are allergic to. 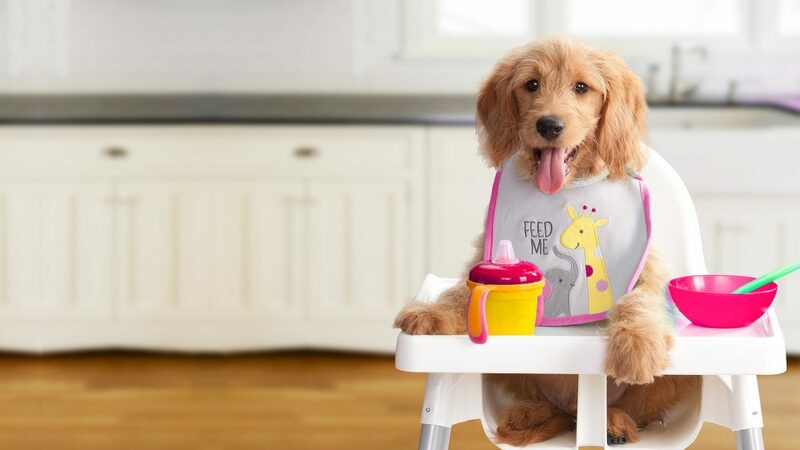 The brand also says the kibble doesn’t contain any chicken or poultry by product meals or artificial flavors and preservatives. Each cup contains 352 kilo calories of energy. So it’s best suited for energetic and athletic dogs. Remember, this is a premium brand, so the price tag is high. 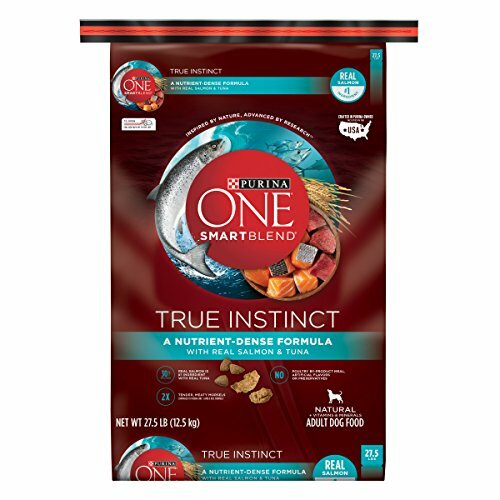 Purina markets True Instinct dry kibble as a “nutrient dense” product. Unlike most high protein dog food, the primary ingredient in this formula is salmon. So it doesn’t suit all dog breeds. But if your pooch loves seafood and doesn’t have a sensitive stomach, this might be the calorie-rich food you are looking for. Even if it’s made mainly from a fish, the kibble is guaranteed to be at least 30 percent protein. Owners should be aware that this is not a wheat and soy free product. The second ingredient is corn gluten meal, followed by soy flour and rice flour. It includes some whole grain wheat as well. Minor sources of animal fat and protein include chicken meal, preserved beet fat, and fish oil. So it’s not the ideal grain-free protein-rich diet. But it still delivers a high amount of calories for your dog. The formula contains 343 kilo calories per cup. That’s should work well for adult dogs with moderate to high activity levels. 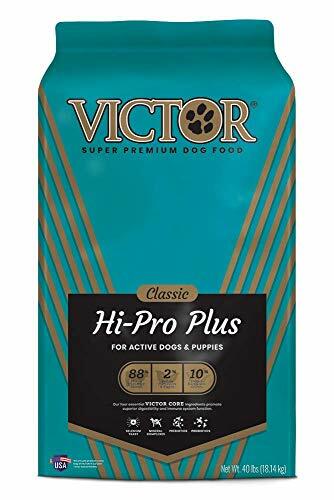 Victor Hi-Pro Plus is high in animal proteins and quality. However, in sheer terms of calorie count, we would have to give Bully Max the top spot. The brand has one of the highest percentages of crude protein on this list. And each cup contains whopping 535 kilo calories of energy. There are lots of protein rich dog foods reviewed on this list. The highest quality with more protein cost more. But the investment would be well worth it to ensure that your pet dog has the best food the world has to offer. 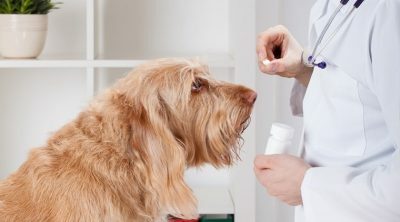 Trazodone for Dogs – Is It Safe For Dogs? 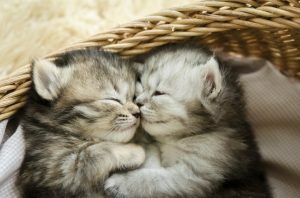 When and How do Kittens Open Their Eyes? Is cheap dog food the perfect formula?